Since 1993, Sunday Coffee House has been presenting a weekly show comprised of contemporary folk music along with some (hopefully) informative chat about the music and artists. The term “contemporary folk” refers to music that is quite diverse and wide-ranging, as is the program. Music heard on the show ranges from singer-songwriter based acoustic material to music that draws from elements of Celtic, bluegrass, roots, country-folk, folk-rock and Americana (is there a Canadiana? If so, we play that too). This show is truly “free-form”. While that a term best known as a description of a type of FM rock radio that prevailed from the late 60’s into the 70’s (and in a few rare cases into the 80’s), we’ll use it here to describe how the show evolves. While the host usually has an idea of the direction a particular program is going to take (particularly with regard to what new releases will be featured, or any special segments, as as the Great Cover Up), the rest of the program tends to evolve as the hour progresses. Attention is paid to how one song flows to the next. This may take into consideration such things as style, tempo, lyrical content or theme. Fairly frequently the show adopts a theme based on things like occasions, seasons or subjects. These shows tend to be a wee bit pre-planned. The program is produced weekly (usually Fridays!) at the mothership station, 91X Radio (CJLX 91.3FM) in Belleville, Ontario. For the first 10 years of the show’s existence, this was the sole station that broadcast the program. The fact that the host’s day job is manager of this station is purely coincidental! Since 2003, a number of stations have been broadcasting the show as well. Thankfully, all (so far) have been able to accommodate it on Sunday…because we really don’t want to change the name. We welcome inquiries from other stations that may carry the show (have a slot available Sundays?) Contact the host. The program is hosted by Greg Schatzmann. A lover of music, but not a musician! Unlike many hosts of folk-music programs, Greg doesn’t play a musical instrument nor does he sing (be thankful for small miracles). None-the-less he has a great appreciation for those who can create music! 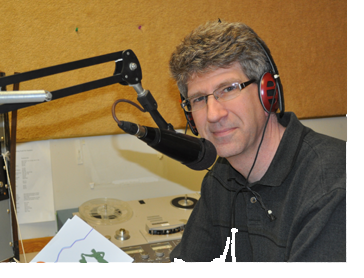 A career broadcaster, Greg grew up on the music of the 70’s and 80’s (what we now refer to as “Classic Rock”). In the early 80’s the new music scene was burgeoning, and Greg really turned on to the new sounds that were coming primarily from the U.K. and then Canada. It was sometime in the late 80’s that the host discovered the contemporary folk genre. Picking up the occasional CD and attending a few concerts and festivals, Greg thought it would be great to host a program that showcased this type of music. In 1992, after a decade-long career in commercial radio, both as an on-air personality and broadcast journalist, an opportunity came along to take the job as manager at a radio station about to go on the air from his alma mater, Loyalist College in Belleville, Ontario. A year after CJLX-FM signed on, Greg got the itch to return to the air. 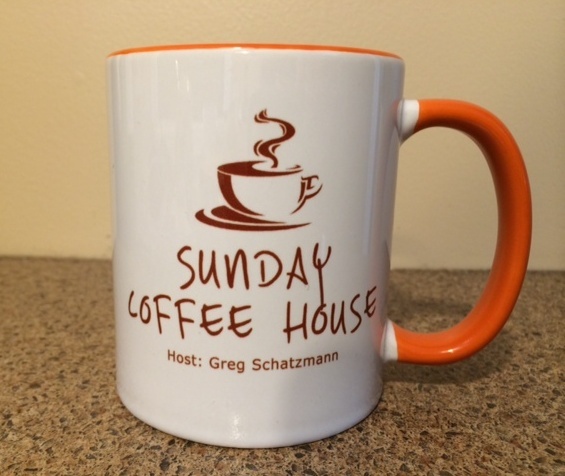 Since he was the manager, Greg authorized himself to host a weekly show…and as the station didn’t yet have a folk music show… the program was born.